In Stores now at Amazon.com! Joey Kramer is the legendary drummer with the most successful band in American history–Aerosmith. In HIT HARD: A Story of Hitting Rock Bottom at the Top, Kramer reveals the true and gritty side of rock and roll fame in a moving and inspiring story. In 1997, amidst Aerosmith’s sold out world tour and number-one album release, Joey revealed in an interview his ongoing struggles with depression. The response from fans and people battling those same internal demons was overwhelming. Joey–who has been the drummer in Aerosmith since it was founded in 1970 and the first member of the band to release his own book–now tells the complete story: the early days of the band, glamorous drug-addled events leading up to their eventual sobriety, battles within his family and among bandmates, and the explosive internal dynamics in Aerosmith that continue to unleash a fury of endless creativity. JOEY KRAMER has been rocking with Aerosmith since the band began in 1970. Kramer and his partners have sold over 150 million albums, and today their multigenerational, global audience is bigger than ever. In addition to the Grammys and the twenty-one multi-platinum albums, Aerosmith was inducted into the Rock ‘n’ Roll Hall of Fame in 2001. The band has been the subject of several documentaries, including a film dedicated to Joey Kramer and his lasting influence called It’s About Time. 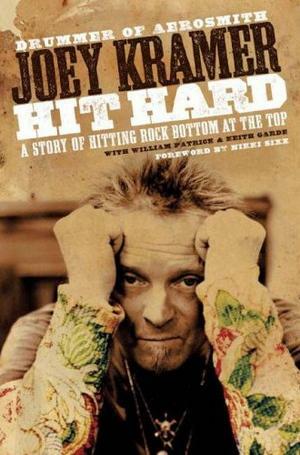 Visit the author online at www.joeykramer.com. For Aerosmith news, visit www.aerosmith.com and www.aeroforceone.com. Aerosmith launched their North American tour on June 10, 2009. – Discovering the Beatles at age 13, and studying Ringo’s every move on the Ed Sullivan Show. Learning drumming techniques and styles through his early heroes: Dave Clark, Dino Danelli of the Young Rascals, Gene Krupa. – His tumultuous (often violent) relationship with his father and how Joey was able to painfully make amends and forgive, as his father was dying from Parkinson’s. How Joey, early on, became confused between love and abuse, and constantly felt a sense of rejection from those around him. – The long history with Aerosmith singer Steven Tyler and how Steven and Joey threaded in and out of each other’s lives–they first met at a battle of the bands competition in junior high school, followed by Steven introducing Joey and friends to Jimi Hendrix’s Electric Ladyland in high school. They found each other again at a chance encounter at Woodstock and finally came together as Aerosmith years later. – Steven Tyler as friend, hero, and the mentor that Joey was constantly overeager to please. Joey describes how Steven became one of his personal “demons,” one that would haunt him for years. – How Aerosmith was formed, how the name came about, the band’s rise and fall and rise again, and how the members have endured together for almost four decades. – The gigs, the world tours, the groupies and life lived in excess–and what it was like to tour and perform after becoming sober. – Cheating death numerous times–smashing up his Ferrari at 135 miles an hour, which left him with stitches and a severed main artery; coming home one night and watching his home burn to the ground; getting caught in a burning car and sustaining third-degree burns all over his body. – His struggles with drug abuse and anxiety and depression. Trying to get and stay clean while on tour with a rock n’ roll band. The nervous breakdown that leads him to completely shut down, just as Aerosmith was on top. – Making peace with the emotional problems that had built up over a lifetime, and learning how to treat himself with respect and “not show up everywhere as a victim in the world.” How this renewed the joy in working with his bandmates. – And finally learning, at age forty-five, to see who Joey Kramer really is without Aerosmith.